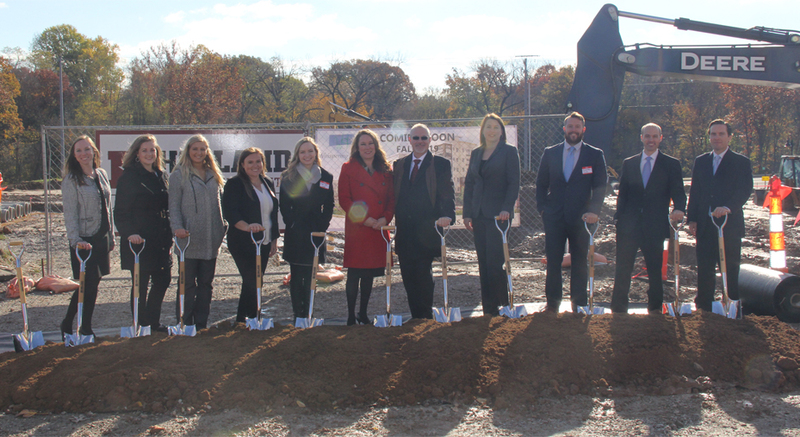 Fireside Financial celebrated the Groundbreaking Ceremony for their Whispering Heights development on November 6th, 2018. This modern and innovative mixed-use community will include 153 apartment homes and over 18,000 square feet of retail and restaurant space. Featuring upscale, modern i­­nterior finishes, private garage parking, state-of-the-art fitness facility, and rooftop terraces. Located off 157, minutes from downtown Edwardsville and immediately adjacent to the Madison County Transit Bike Trail. Whispering Heights will offer luxury living steps away from where you work, dine, and play. The expected completion date of this project is to be Fall of 2019.